Joey Mason joined Delta Partners in 2003, specialising in Life Science investments. He serves on the boards of Genable, Glysure, Miracor Medical Systems, SpineGuard and Accunostics.Having trained as a doctor, Joey spent five years as an investment banker in the Health Care market with Morgan Stanley International and Technomark in London. 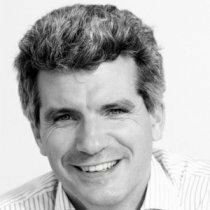 From 1995 until 1999 he was Director of Corporate Development at Biotrin Holdings plc, an Irish biotechnology company backed by Delta Partners and other VCs.